Despite being rated way behind Apple's iPhones in build quality due to copious glue squirted under the componentry, Cupertino's latest fun-sized tablet was praised by teardown gurus iFixit for actually having a headphone jack. Yes, it has come to that. 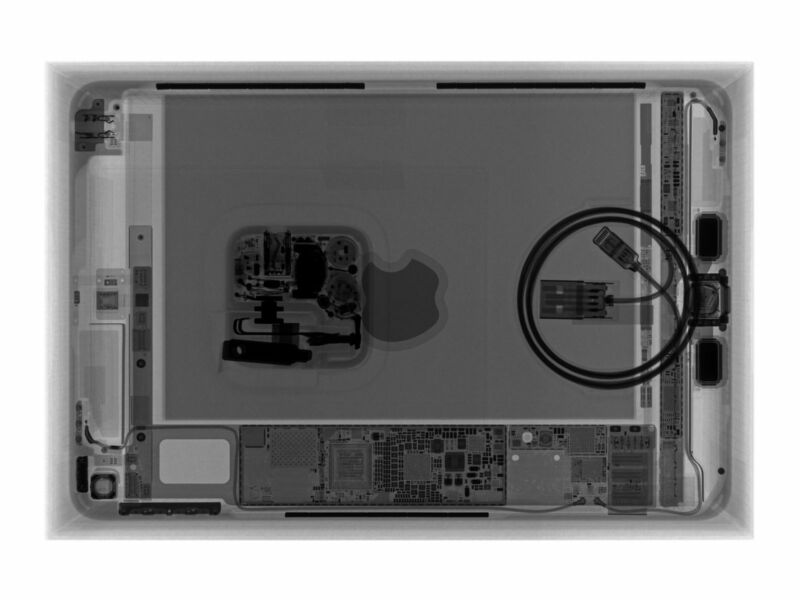 The engineers at iFixit snapped some closeup X-rays, showing the thing is not a shrunken iPad Air (at least one gadget blogger has suggested Air owners get the newest mini as a replacement) but rather – as the name would suggest – an upgraded iPad mini 4. The most recent refresh of Apple's littlest tablet has seen a significant spec update – as you'd expect three years after the last model – and iFixit noted its innards are "similar" to the guts of the Jesus phone (barring the glue, natch). 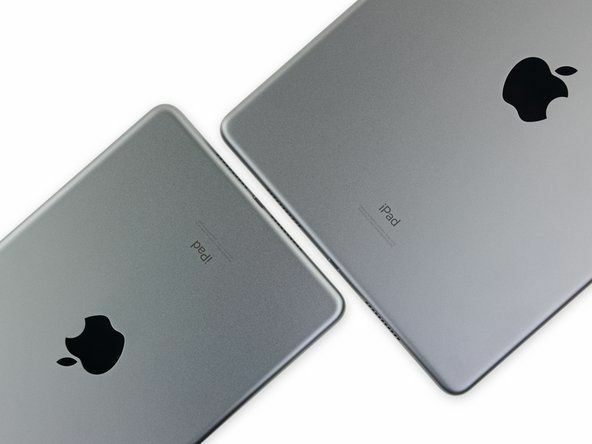 To the surprise of some, the new mini is still busting out those big bezels, and the look of the thing, as pointed out in the teardown, is closest to a "downsized version" of the iPad Air, whose latest model, the iPad Air 3, was released on the same day: 18 March. The mini 5 has been bequeathed a new 7nm-process A12 Bionic SoC (the APL1W81) and has 64/256GB storage options. It also has Apple Pencil support (and by "support" Apple means "don't look in the box for one, even though every mini promo pic has a dewy-skinned model waving it around") and a much-improved display with buffed pixel density (its 2,048 x 1,536 resolution puts it at 326 pixels per inch), 500 nits brightness and an LED-backlit Retina True Tone display. The Wi-Fi model weighs 300.5g, with the cellular model pegged at 308.2g. Apple has received plenty of flak for not being as cutting-edge with its iPhone photo tech as its smartphone contemporaries – though the pic quality of its iPhone XS Max compares well to Huawei's P30 kit. The new iPad mini sports an upgraded 8MP camera with a f/2.4 aperture and a 7MP high-def FaceTime camera – a big upgrade from the 1.2MP sensor in the mini 4. As to how easy it is to fix yourself, well, the removal of the two components everyone replaces the most – battery and screen – have been made "unnecessarily difficult" by Apple, concluded the engineers, giving the mini got a measly 2/10 for repairability. Grappling with the display bracket, they found the reason for at least one of those two stars – a battery flex connector that is neatly disconnected when the cover bracket is removed, and crucially, before you unplug the display. This sees off prior issues with a blown backlight fuse, claimed the tinkerers. Apple lost plenty of points, however, when the battery itself – rated for 19.32Wh – was seated in glue with no adhesive pull tabs to make the uncoupling a less sticky experience. The home button was similarly gluey, the team moaned – Cupertino clearly didn't listen to its previous complaints on the mini 3 and the mini 4. This makes screen replacement very tricky, requiring a fiddly removal of the home button if you want to keep the Touch ID feature after a fix – which is bad news for butterfingered would-be repairers as they hear the thing clattering down the stairs. The other star might well have been awarded for the Phillips heads on the mini 5's screws – meaning you won't have to mash them down to a circle if you don't have the pentalobe screwdriver Apple irritatingly requires for some of its other gear (the team said a standard Phillips mini screwdriver size 00# will do). Prices start at £399, which is a lot if you thought the latest model would be something you might actually have a chance to serviceably fix.